Not all of the celebrating today is Super Bowl related. There’s a new member of the family at Disney’s Animal Kingdom — a baby white-cheeked gibbon — and we’re sharing a first photo on the Disney Parks Blog (thanks, Gene Duncan). 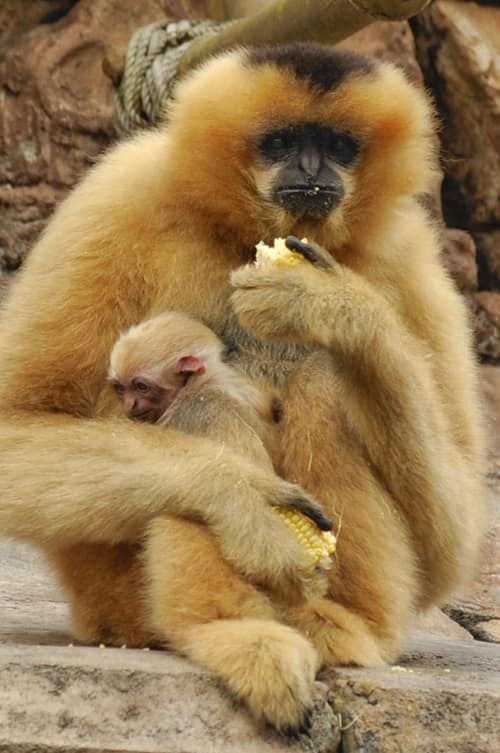 The male baby gibbon was born last week and has not been named. You can see baby, mom (Melaka) and the baby’s two sisters, Suki and Tuyen, in their habitat near Kali River Rapids. White-cheeked gibbons, an endangered species, spend their lives in the tops of trees. They produce offspring about once every 2-3 years after 7 to 8 months of gestation. Infants have the ability to cling to their mothers immediately after birth, which allows females complete range of motion while moving about the forest with their offspring. Disney’s Animal Kingdom participates in a gibbon Species Survival Plan program coordinated by the Association of Zoos and Aquariums (AZA). I am so proud of The Disney World staff for having such success in breeding endangered animals in captivity. I have enjoyed AK because of its “non-zoo” enviroment, and obviously the animals do too!!! See you in August! He is adorable! I’ll be at the WDW Resort in T-minus 3 weeks so I’ll be sure to stop by and see him! Can’t wait. Although the anteater is still my favorite animal! Animal Kingdom has always impressed me in the way that they create an environment that allows the animals to feel ‘at home’ while infusing it with theme park elements. It is truly a one-of-a-kind experience. I'll be looking for them… on my first trip to Animal Kingdom in December 2010. Precious little baby. i am hoping to come to see this little adorable baby within the next few months. What a little darlin! Thank you everyone at Animal Kingdom for helping to make this miracle happen. I hope to see him in May. But, I’ll wish him a Happy Birthday now. We watched the little sister grow and cavort with big sis and Dad over our first two trips to Disney World – the highlight of our trips! Congratulations to the family, including the staff who cares for these amazing animals. 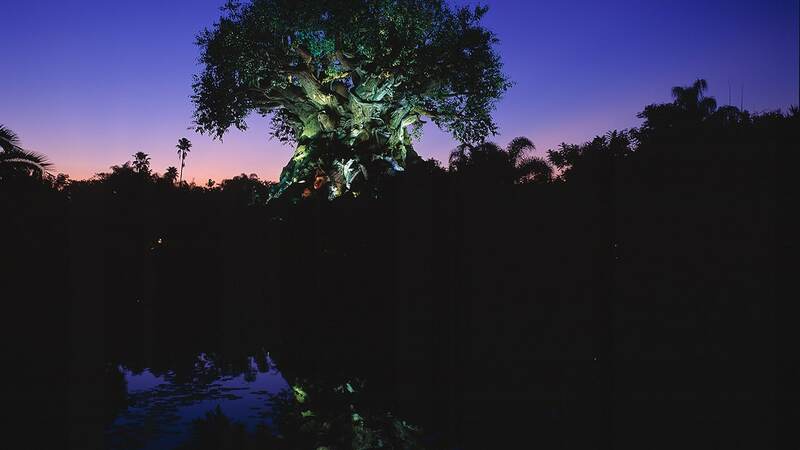 I love hearing news stories like this because it makes me want to look for the new additions each time I am down at Animal Kingdom, and I ask the Cast Members about them. It also makes me feel good about the mission of Animal Kingdom and how Disney is helping to protect the endangered spieces of this planet. We have been watching this little family grow over the years on each visit to AK. When we first started, it was just the couple of parents! In fact, we were remarking in December that we thought perhaps she was pregnant again. Looks like we were right! Can’t wait to see the new addition in May.